INTERNATIONAL ASSOCIATION OF MACHINIST AND AEROSPACE WORKERS: 6500 jobs lost in thirty days – It’s time for organized labour to unite! International Association of Machinist and Aerospace Workers issued the following announcement on Nov. 28. In the span of a mere thirty days, disastrous events have taken place with devastating consequences for workers and communities. 2500 jobs will be lost in GM’s Oshawa plant, 1500 at Maple Leaf’s three plants in Ontario and another 2500 as a result of Bombardier layoffs in Quebec. That is a total of a mind boggling 6,500 jobs lost in less than a month- 6,500 worker’s lives shaken to the very core. In Quebec, Bombardier, a company that is heavily subsidized with public monies, announced layoffs leaving workers to head into the holiday season with trepidation and uncertainty over their livelihoods and futures of their families. Despite the commitment Quebec showed to Bombardier through significant subsidies, the company has not reciprocated with the same commitment. The relationship has been a one way street and it’s clear workers will bear the brunt of these hardships. GM workers in Oshawa are living a similar fate, and facing a bleak reality which by this time next year will make them a statistic in the unemployed category. It’s not hard to imagine just how much of our lives depends on our jobs, our means of existence. Decisions of this magnitude should not be made in a corporate boardroom; not when the company has received public money; money that didn’t go into social programs, communities, healthcare, or numerous other services that could have used $ 700 million, and the $14 billion in tax cuts that GM saved. Just as this is being written, postal workers have been legislated to mediation by a government that initially critiqued the Conservative government for having also used legislation to end a CUPW strike. Workers have been penalized for fighting for safe workplaces, pensions, and for wanting to be paid for hours worked. One of the few powers unions have is the right to strike, and it’s never exercised lightly and without deep consideration for the community, union members and relations with the employer; but, there’s times when it’s the only means of sending a message. This power has now been taken away. In the case of GM, the Ontario Ford government, which touted itself as a government for the people, one that was opening for business and creating jobs has said there is nothing to do, because the, “ship has sailed.” Where’s the fight for the common person, or better yet, who is left to fight? Who will hold these companies accountable? Who will hold government accountable for promises they made in exchange for votes? In all three cases governments, whether they are provincial or federal, Liberal or Conservative, are complicit in the erosion of worker’s rights, and the erosion of our communities. The government is accountable to us, we entrust them to use our money, our taxes to our benefit. Public money is neither the governments, nor a corporation’s; a subsidy is not a plea, it is a commitment and permission to operate a business and use a communities’ resources, human and otherwise, for mutual benefit. What more will be lost before working people act? Livelihoods, security, highly paid employment, safe jobs, pensions, thriving communities are all withering away. What more will they take? Make no mistake- what we are witnessing is a slow erosion of our rights as working people, rights that ensure that our means of existence, our work, our jobs are protected. The IAM stands in solidarity with all workers experiencing what our members in Quebec are experiencing, what workers whose right to strike is being taken away, and workers whose livelihoods are seen merely as an obstruction to the bottom line, an obstacle to a necessary restructuring. These four examples are many among countless others, and these scenarios have become too commonplace. We have forgotten the power we hold, both as citizens and workers. We have built these corporations, and the government is accountable to us. An injury to one union is an injury to us all; if governments, and corporations we subsidize won’t honor their commitments, someone must stand in defiance and put pressure on them. The only ones that can, and the only ones who ever have, are unions. 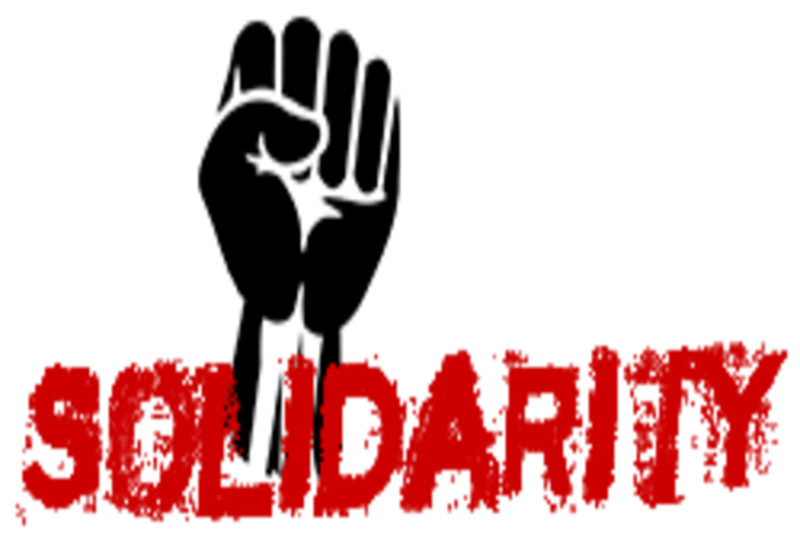 At this critical time it is more important than ever to show solidarity and together stem the tide of destruction of worker’s rights. After all, as these examples show, and countless others, we are all fighting the same battle, and a common adversary. Want to get notified whenever we write about International Association of Machinist and Aerospace Workers ? Next time we write about International Association of Machinist and Aerospace Workers, we'll email you a link to the story. You may edit your settings or unsubscribe at any time.